In this vlog, Greg shares his SIMPONI® story. If you're interested in sharing your own, fill out the form. Interested in sharing your UC story? To get started, fill out and submit the form below. A SHARE Network representative will reach out to finish your registration process and schedule a time to connect over the phone to learn more about you. Every question is optional, and you can share as much of your journey as you'd like. Additional support is available to help you during your treatment with SIMPONI®. Through Janssen CarePath, you can get medication reminders and use Safe Returns®, a simple and safe way to dispose of your used injection devices—at no additional cost to you. Call 877-CarePath (877-227-3728) to learn more. 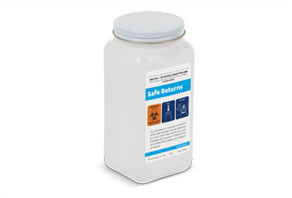 The Safe Returns® Program is a simple, safe, and convenient mail-back service for the proper and safe disposal of your used injection devices. Through this program, you can dispose of your used syringes at no cost to you. Need a new disposal container? Once you're enrolled in the Safe Returns® Program, you can order a Safe Returns® Replacement Pack by calling 877-CarePath (877-227-3728), Monday – Friday, 8:00 AM – 8:00 PM ET. No matter what kind of health insurance you have, Janssen CarePath is here to help. Janssen CarePath Care Coordinators can help explain your insurance coverage and potential out-of-pocket costs. They can also help you find ways to help make SIMPONI® medication more affordable. *$20,000 maximum program benefit per calendar year. Patients using Medicare, Medicaid, or other government-funded programs to pay for their medications are not eligible to participate. Terms expire at the end of each calendar year and may change. There is no income requirement. See full eligibility requirements. If you have commercial or private health insurance, learn more about the Janssen CarePath Savings Program for SIMPONI®. If your commercial or private insurance does not cover your SIMPONI® treatments, call your healthcare provider. They may have resources that can help. Call 877-CarePath (877-227-3728) and ask about Janssen Link or visit JanssenCarePath.com to learn more. Monday – Friday, 9 AM – 8 PM ET. *Nurse support is limited to education for patients about their Janssen therapy, its administration, and/or their disease, and is not intended to provide medical advice, replace a treatment plan from the patient's doctor or nurse, or provide case management services. These videos can help you review the steps for injecting your SIMPONI® medication with the SmartJect® autoinjector and the prefilled syringe. The autoinjector trainer is a great way to practice before your actual injection. For more information on the proper way to inject SIMPONI®, please refer to the Medication Guide and Instructions for Use that come with your SIMPONI® medication. SIMPONI® is a self-injectable, prescription biologic treatment for adults with moderately to severely active ulcerative colitis (UC). SIMPONI® is given by self-injection. Once you and your doctor are comfortable with the self-injection process, you will inject SIMPONI® under the skin, just once every 4 weeks after the first 3 starter injections, given 2 weeks apart. Just 1 dose every 4 weeks works to relieve the signs and symptoms of UC. Results may not be the same for everyone. You may continue to use other medications that help treat your condition while taking SIMPONI®, such as prescription steroids, as recommended by your doctor. Only your doctor can decide if SIMPONI® is right for you. SIMPONI® can cause serious side effects. Please read the Medication Guide for SIMPONI® and discuss any symptoms or questions with your doctor. To learn more about these and other risks, please read the Important Safety Information for SIMPONI® and the Medication Guide, and talk with your doctor. SIMPONI® is given as an injection under the skin. After you are trained by your healthcare provider, you can take SIMPONI® by giving yourself a 1.0-mL injection with a prefilled syringe or SmartJect® autoinjector. Both injection devices provide a low volume of medicine with each dose. Please refer to the Medication Guide and Instructions for Use for more information on the right way to inject SIMPONI®. How often should I take SIMPONI®? Treatment with SIMPONI® begins with 3 starter injections: 2 injections on your first day of treatment, followed by 1 injection 2 weeks later. After these 3 starter injections, SIMPONI® requires just 1 injection every 4 weeks. Use SIMPONI® exactly as prescribed by your doctor. Do not miss any doses of SIMPONI®. If you forget to take SIMPONI®, inject your dose as soon as you remember. Then, take your next dose at your regularly scheduled time. In case you're not sure when to inject SIMPONI®, call your doctor or specialty pharmacy. You may continue to use other medications that help treat your condition while taking SIMPONI®, such as prescription steroids, as recommended by your doctor. Be sure to let your doctor know about all the medications you are taking before starting SIMPONI® or if you are scheduled for or recently received a vaccine. People taking SIMPONI® should not receive live vaccines. Your doctor will forward your prescription to a specialty pharmacy based on your insurance coverage. The specialty pharmacy will call you about your insurance coverage and potential out-of-pocket costs, and to arrange delivery of your medication. Your doctor may want your medication shipped to the doctor's office for your first treatment. If authorized by your doctor, you may have your medication shipped directly to your home or other location so you can self-inject. Biologic medications such as SIMPONI® require special handling, and specialty pharmacies have experience in distributing these kinds of medications. Specialty pharmacies offer you important benefits, including registered nurses and pharmacists who can answer questions about SIMPONI® and self-injection. When you receive your SIMPONI® injection, immediately place it in a refrigerator at 36°F to 46°F (2°C to 8°C) until you're ready to use it. Do not freeze or shake SIMPONI®. Keep it in the carton when not being used to protect it from light. How do I dispose of my used injection devices using Safe Returns®? After self-injecting with SIMPONI®, it's important to properly dispose of your used injection devices. People being treated with SIMPONI® can enroll in Safe Returns®, a unique service that allows you to properly and easily dispose of your used injection devices after each dose of SIMPONI®. Follow the instructions in the Safe Returns® pack. When your Safe Returns® mail-back box is received for disposal, a new pack will be sent to you in time for your next injection. To sign up for Safe Returns®, call 877-CarePath (877-227-3728). You can also use a sharps container, a hard plastic container (such as a detergent bottle), or a metal container (such as an empty coffee can). Ask your doctor for the right way to dispose of the container. Also, it's important to note that used syringes cannot be recycled or placed in the household trash. Please refer to Instructions for Use for additional information on the proper disposal of your used syringes. 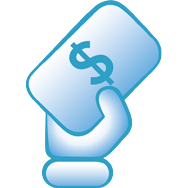 SIMPONI® is covered by many insurance plans, including commercial or private insurers, Medicare, and Medicaid. Coverage policies may vary by insurer or even between plans offered by the same insurer. If you have any questions about insurance coverage or reimbursement, you should first call your insurance company or Medicare. If you need additional information about insurance coverage or financial assistance for SIMPONI®, please call Janssen CarePath at 877-CarePath (877-227-3728), Monday–Friday, 8:00 AM–8:00 PM ET. Janssen CarePath can help explain your health insurance benefits, coverage, or potential out-of-pocket medication expenses, and determine your eligibility for the Janssen CarePath Savings Program or help identify other medication cost support resources. If you use commercial or private health insurance, you may be eligible for the Janssen CarePath Savings Program to save on your out-of-pocket costs for SIMPONI®. Patients using Medicare, Medicaid, or other government-funded programs to pay for their medications are not eligible to participate. Terms expire at the end of each calendar year and may change. There is no income requirement. To learn more, including full eligibility requirements, call Janssen CarePath at 877-CarePath (877-227-3728) or visit JanssenCarePath.com. Please read the Important Safety Information about SIMPONI® below, and the Medication Guide, and talk with your doctor. I would like a replacement pack, which includes a return mailing box. I would like to opt out of the Safe Returns® program. Please send me a mail-back box only. Not yet enrolled in Safe Returns®? Click here. Send me information and updates from Janssen Biotech, Inc., the maker of SIMPONI®, and about other products and services that may help me manage my condition.